Progressive California billionaire Tom Steyer is trying to take California’s energy policies on the road. California energy prices are among the highest in the country, and Golden State residents suffer more non-disaster-related blackouts and brownouts than any other state. In a vain effort to control the weather 100 years into the future, California has adopted policies that restrict fossil-fuel use and severely limit residents’ energy choices. The result: high energy prices and unreliable electricity that works only when the sun and wind cooperate. At a time when residents and businesses are fleeing California to seek more affordable energy and homes, California is now trying to export its misguided energy policies beyond its borders. This November, voters in Arizona and Nevada will consider ballot proposals that would mandate an increase in the proportion of electricity generated from renewable power sources to 50 percent by 2030. Both measures are bankrolled by Steyer. Additionally, Washington state voters, for the second time in three years, will consider a ballot initiative to impose the nation’s first tax on carbon-dioxide emissions. The plain truth is, if voters approve these initiatives they will be paying higher prices for energy with little or no environmental benefit. Numerous studies have revealed that states with renewable energy mandates have experienced increased energy prices. The Brookings Institution found replacing conventional power with wind power raises electricity prices by 50 percent. Even worse, replacing conventional power with solar power triples electricity costs. In short, the higher the mandate, the higher the costs. Europe is further along the renewable energy path than the United States, and the results are telling. Despite a 25 percent increase in wind power and 6 percent growth in solar over the past decade, carbon emissions actually increased in 2017, by 1.8 percent, due to the fact that “idling fossil fuel plants must be quickly brought online when the wind doesn’t blow and the sun doesn’t shine, and, just like cars in traffic, idling engines produce more carbon emissions,” as reported by Nevada’s Sparks Tribune. Meanwhile, electricity costs across the European Union have increased by 23 percent during the past decade. The same is true in the United States. Under its current renewable power mandate, Arizona produces 7 percent of its energy from wind and solar, an amount required to increase to 15 percent by 2025. The Energy Information Administration reports that meeting the current 7 percent requirement has already added $304 a year to the average Arizonan’s electric bill — meeting the 50 percent standard proposed in Steyer’s ballot initiative could cost Arizona residents an additional $2,100 annually. The results are the same for Nevada. Over the last five years, the average Nevadan saw his or her electric bill rise by 11 percent, despite that nationally rates fell on average by 1 percent — and declined even more in states without green-energy mandates. This is due in part to Nevada’s existing renewable energy mandate. A 2013 study commissioned by the Nevada Policy Research Institute showed that simply meeting the current requirement (utilities get 25 percent of the electric power they supply by 2025) would likely raise power prices by an additional 11 percent. This would also cost the state more than 3,000 jobs. Requiring 50 percent renewable energy just five years later, after the low hanging “inexpensive” power switching as already been accomplished, will make rates and job losses skyrocket even further. Washington state’s carbon-dioxide tax would impose a penalty of $15 per metric ton on carbon-dioxide emissions, rising $2 per ton annually until the state meets its goal of reducing emissions 50 percent below 1990 levels. Evergreen State auditors found residents would pay approximately $2.2 billion more in taxes during its first five years of implementation, with gasoline prices likely to rise by 13 cents per gallon and the costs of home-heating oil likely to rise by 15 cents per gallon in 2020, the year the tax would take effect. The higher energy prices and increased energy instability will be for naught with regards to preventing global warming. The United States is already reducing its emissions without such draconian policies, but even if it weren’t, nothing done in the United States can prevent a global rise in emissions because developing countries are adding huge amounts of carbon dioxide into the atmosphere as they industrialize. Only the IRS, politicians and climate fanatics could love these high-cost, no-return ballot initiatives. Let’s hope Arizona, Nevada and Washington state residents see through the green smokescreen the ballot initiatives’ advocates are emitting. As government regulations continue to play an increased role in the nation's economy, there is a demand for cheaper energy sources to promote economic growth. America is committing vast land resources for the storage of Industrial and residential waste. Municipalities must contract out or arrange for waste transportation to landfill sites which amount to vast quantities of energy buried. Municipal waste is a growing problem in both rural and urban communities across the United States. Toxins are leached from the materials in the landfill over time that potentially threaten the water supply and many of today's modern components take centuries to decay in the earth. Landfills contain Combustible materials that could provide low cost energy for cities as well as improve the environment. The average American now discards approximately 16-20 pounds of solid waste per day per person. This waste has traditionally been disposed of in landfills, which require huge tracts of land and have finite storage capacity. Many landfills will have to close by 2040, increasing the cost of trash disposal and preventing the land from more productive use. The Energy Information Administration (EIA) has noted that the energy content of solid waste in landfills has been steadily rising over the last decade, hitting 11.73 million Btu/ton in 2005. The heat content of interred waste provides the basis for developing an engineered fuel supporting many industrial applications such as the production of hydrocarbons, solvents, motor fuels, and even electric power generation. A 2010 study(3) has found that emissions from landfills versus municipal waste combustion using EPA's life cycle assessment (LCA) model for the range and scenarios evaluated, that waste combustion outperforms land filling in terms of Green House Gas emissions regardless of landfill gas management techniques. Innovative technologies can use buried waste as energy to convert bio-waste into needed products. Recently, Sweden's 144 million Kristianstad biogas plant has successfully converted municipal bio-waste into methane for use in automobiles and heating, saving some $3.5 million per year. Biogas can be further processed to produce organic liquids and even motor grade fuels. Municipal Waste can be converted into fuel pellets with combustion performance comparable to coal. The solid waste can be processed with an engineered heat content amenable to fluidized bed and other furnace combustion equipment. Optimally, the pellets could be manufactured to a specific heat content. This is accomplished by feeding shredded rubber from scrap tires into a Cuber machine to produce fuel cubes of very high heating value, approximately 10,000 to 12,000 Btu/lb, suitable for utility power generation. The rising level of municipal waste provides incentive to develop alternative fuels but municipal waste contains many non-combustible components, some of which possess considerable recycle value. Recovery of these materials help to defer the cost of producing an engineered heat content fuel. Figure 1 illustrates the potential economic return based on EPA waste content. Locating a suitable waste transformation plant directly on a Landfill site saves added costs for property and waste transportation to a site as trucks are already servicing the facility. In natural gas producing landfills, a cheap supply of methane for hydrocarbon synthesis is readily available. In cases where a bio-gas facility such as Johnson County Wastewater may be nearby, combustible waste sludge can be transported via pipeline for fueling a suitable fluidized bed boiler. The pipeline can pay for itself quickly as only the installation cost from the wastewater facility to the landfill need be considered. Additionally, Industrial solvents such as methanol and other light hydrocarbons can be produced from the readily available methane feedstock along with steam and or electricity. An ideal plant site would be an 850-acre landfill of which approximately 770 acres are used for solid waste internment. Road infrastructure would already exist to handle the associated truck waste transport traffic. 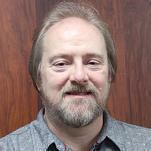 Only small infrastructure changes would be needed to support an onsite waste processing facility. Waste transport vehicles would contain an average of 11 tons of municipal trash and make 1 to 3 trips per day to the site depending on weather and other factors. The landfill could receive as much as 5000 tons of trash per day, averaging nearly 19 trucks per hour. Engineered fuels could be manufactured from this solid refuse on approximately 5 of the remaining 70 plus acres. The solid waste would be screened to remove various metals and other non-combustible materials before processing into specified heat content fuels. Figure two illustrates dual waste handling units separating typical recyclable materials, shredding and blending recovered solids and vehicle tires from the municipal waste to produce a serviceable fuel pellet. It is a time and motion illustration of the effort required to produce a 24% blend of solid waste and rubber. The chart was developed from a real waste processing pilot operation by RCR Partners of Colorado during the early 1980's. Since that time computer model studies have shown that a 50-50 waste blend of solids and scrap tires provided a better heat content fuel at 10,221 Btu/lb suitable for a small industrial boiler consuming approximately 30 tons of fuel pellets per hour. 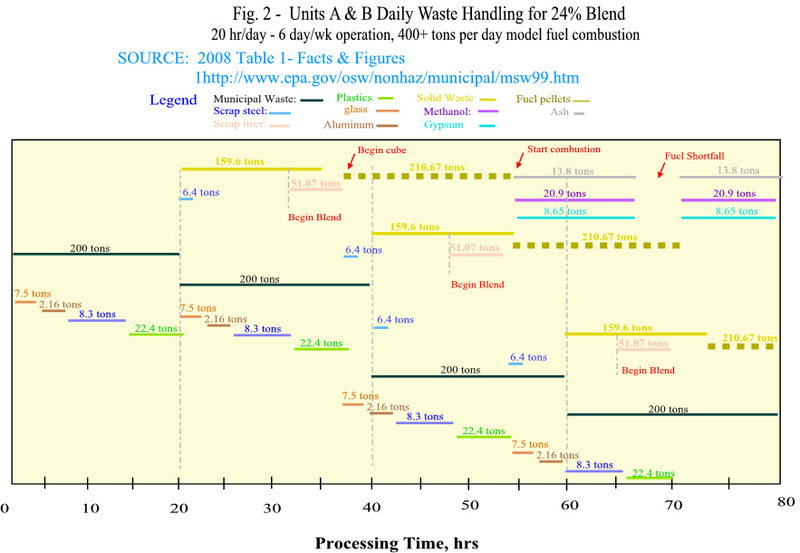 The 50-50 blend represents only an incremental change in processing times. The 2010 RCR industries salvageable Materials and Byproducts chart documents recovery revenues that are used to offset the cost of manufacturing an engineered fuel which is the basis of the Figure 2 chart. From this study, recyclable materials savings, operating and labor costs can be estimated. Bags enter the breaker machine from the truck where large boxes and bags are opened without damaging the contents. This permits the separation of light and heavy components. Food waste is removed prior to mechanical separation. The solid waste moves through three mechanical separators upon entering the waste handling facility to remove glass, metal cans and plastic. Separation efficiency is greater than 90%. Separator No 3 removes all fractions less than 3" x 8”. Plastics fall into a collection bin exiting the 3rd separator. The remaining material enters the shredder and is now all light fraction material. The shredder slices the solid waste into approximately a ¾” size. The material passes through a cyclone separator to remove any dust generated by the shredding operation. The material can then be moistened and compressed by a Cuber machine into approximately 1-1/2" x 2" size fuel pellets. 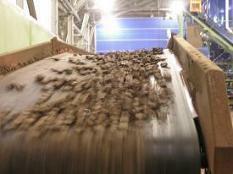 The pellets may then be conveyed to storage vessels. Company reports are often good sources of economic cost data. Our fuel processing cost is estimated from an RCR Partners pilot plant study for the year's 1982-'83. The ordinary expense average for these years was $2,308,500 per year and defines the fixed costs. The Jan. '84 - Mar. '11 inflation rate was 146.7%, adjusting the ordinary expenses to present costs gives $5,694,244 per year. One of the most significant features of engineered fuels is the ability to reduce the quantity of sulfur that must be scrubbed out of atmospheric releases during combustion. In our simulation, the computer model predicted a 20.67% reduction in SO2 emissions..
Mercury is virtually eliminated from stack gas emissions and other airborne contaminants can be significantly reduced through controlled waste blending. Combusting Municipal waste in a controlled environment not only alleviates the need for further land repositories but may also facilitate recovery of burnable materials from many existing landfills.